Our non-profit organization is excited for today’s announcement by the Rita Allen Foundation, that they’re supporting our forthcoming project NYC Councilmatic – a free & open-source website for engaging with NYC government. “Local governments impact the everyday lives of their constituents, with policies affecting such necessities as housing, education and transportation. To provide citizens with better access to the legislative processes of city councils, the Participatory Politics Foundation is developing an online tool called Councilmatic. This open-source application allows community groups and individual citizens to follow the actions of their city council and local agencies by searching a database of proposed legislation, voting records and meeting minutes. Councilmatic will also provide simple text-messaging tools to improve communication between council members and their constituents. With funding from the Rita Allen Foundation, the Participatory Politics Foundation is partnering with HeartGov, the Sunlight Foundation’s Open Civic Data project and several elected officials to pilot Councilmatic in New York City, with the goal of bringing the tool to more American cities in the future. (David again:) I’m grateful that Councilmatic’s creator, Mjumbe Poe, will serve as a non-profit advisor, with an experienced Councilmatic Advisory Council to be announced in months to come. Thanks Mjumbe! 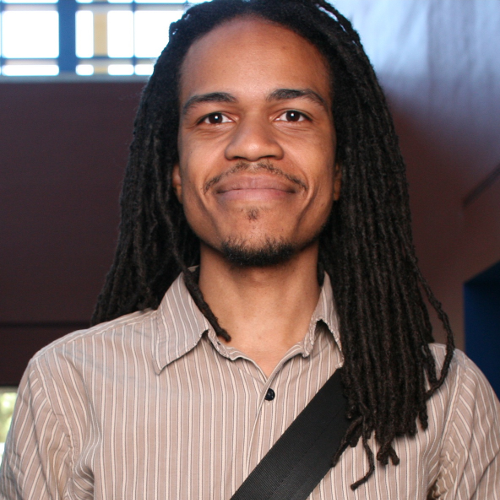 Mjumbe created Councilmatic.org for Philadelphia as a 2010 Code For America Fellow. Join us and help us bring Councilmatic to your city! This is an open-source project, with shared open data infrastructure, that can make your city’s legislative portal more user-friendly and liberate open city data about local laws & issues & meetings. More information forthcoming from PPF and our partners on how to get involved in NYC, and how to get your city ready for Councilmatic. In brief, see the “contribute” resources on Open Civic Data – to get ready for Councilmatic in your city, write a scraper for your city information in this open standard. More specific help guides forthcoming – for example, you can upload some of your city’s data in a spreadsheet format. The civic tech company behind ChicagoCouncilmatic will be tech leads for this open data and open-source project. Get in touch! We’re easy to reach and eager to chat over our roadmap as we work to roll out Councilmatic nationwide. Along with our community outreach partners HeartGov, a new SMS public feedback service, we’re very excited to build a locally-meaningful discussion program for NYC neighborhoods. Follow @nyccouncilmatic for upcoming NYC version, based out of Civic Hall, and @councilmatic2 on Twttr for the nationwide project. We’ll have official social media accounts and email updates to come – sign up in the form above to easily stay in touch. Councilmatic, NYC and nationwide, here we go. Thank you very much to the Rita Allen Foundation team for supporting our public-benefit work.